Nike Air Flight Lite High "Bulls"
While Jordan was debuting his basketball line, Scottie Pippen was rockin’ the Nike Air Flight Light High in the early 90’s. 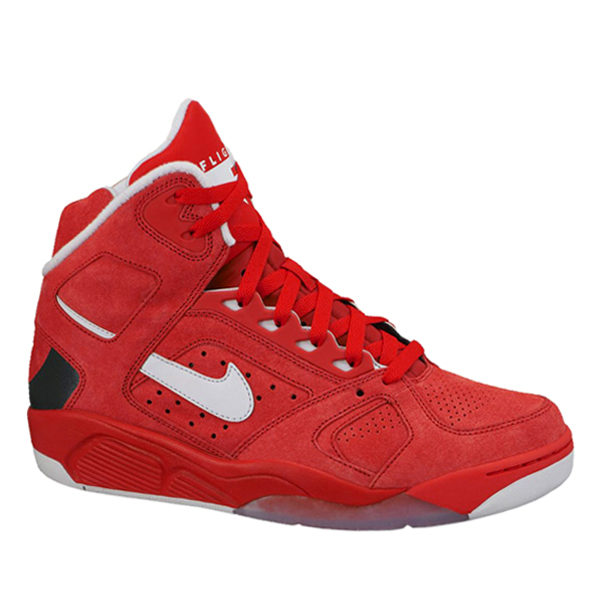 The high top was one of it’s kind and a predecessor to hundreds of high top basketball models that were to come. The Nike Air Flight Light High returns in the “Bulls” colorway, sporting university red, pure platinum and hits of black. Look out for these beauties to release this Holiday season.